Oomph Marketplace is a new online space where you can buy and sell iPad app templates. Marketplace operates in a similar way to many WordPress template providers – simply download and modify an existing template, and then publish. It’s that simple. It can take up to 6 weeks to design an app from scratch. Need to design an app faster? Buy an Oomph app template from Marketplace. Oomph iPad templates reduce the amount of work needed to create app content – saving you time and money. On average, 50% of the work is already competed for you when you buy an app template. 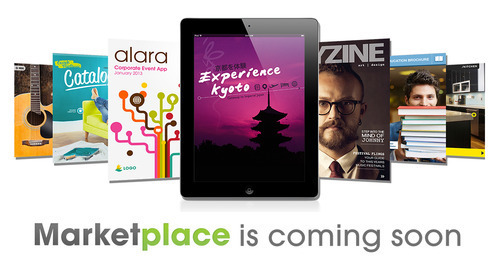 Using an app template from Marketplace means your app design could be completed in a matter of hours – bringing you closer to your next event, magazine, catalogue, brochure or corporate communications app. On the flip side, Marketplace is also an opportunity for Designers to make money by selling their app templates. Designers can earn 70% of the sale price of their app template by leveraging Oomph’s audience who need creatives like you.